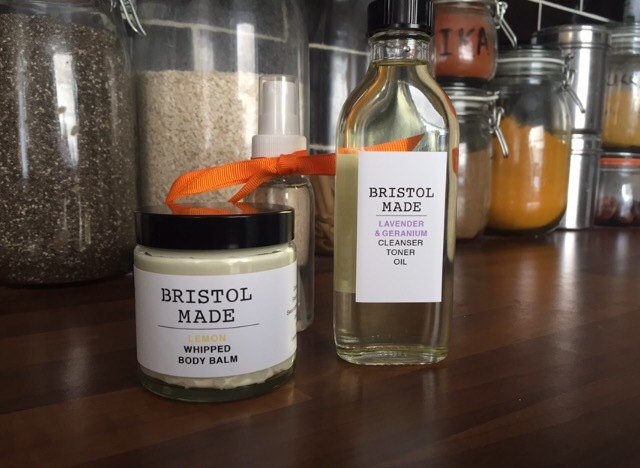 I’m vegan & want my skin to be vegan to, with this in mind I’m busy expanding my Bristolmade vegan beauty range. 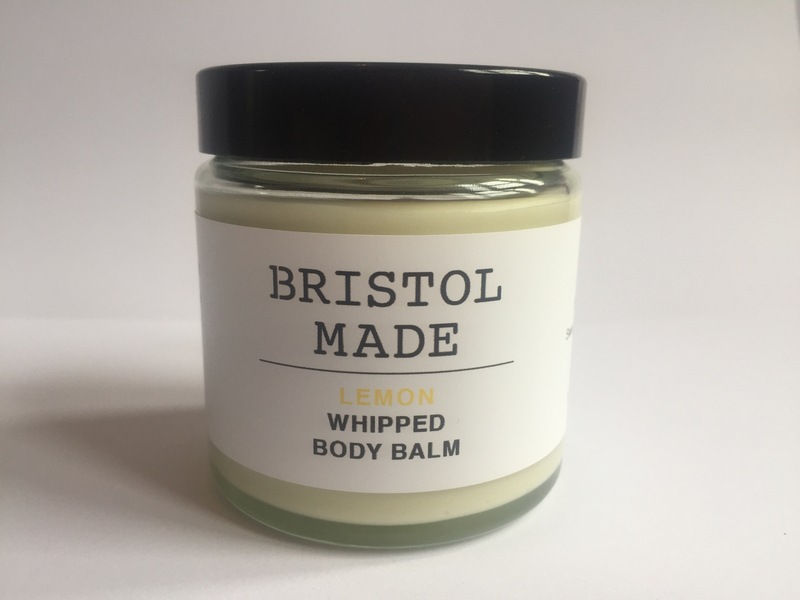 One of my most popular products is my lemon whipped body balm but what other essential oils would people like in their balms? I’d love to hear your preferences for essential oils & the products you like them in. 10 sprays delivers 43% of your RDA directly into skin tissue & fast. Deficiency symptoms include – insomnia, anxiety, muscle cramps, headaches & so many more. I recently developed carpal tunnel which I treated with my magnesium spray, I’m now symptom free. 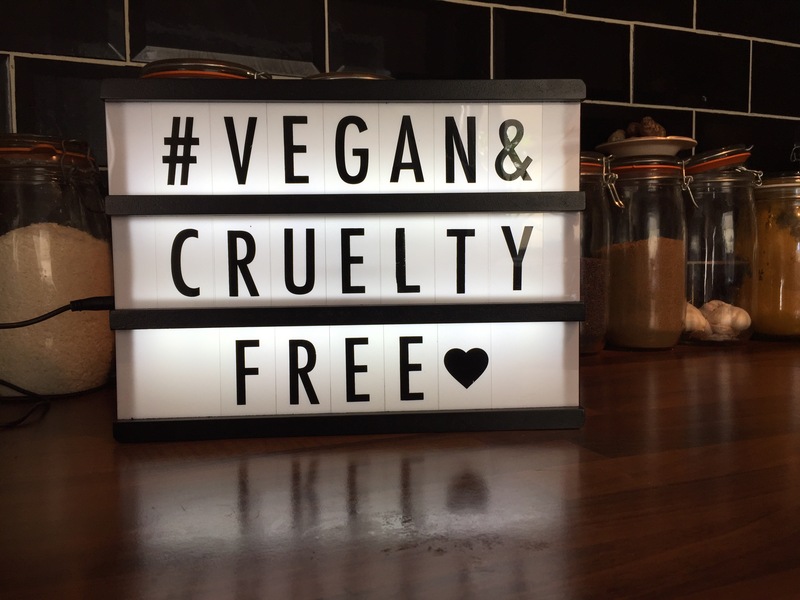 Here are two products from my vegan range of handmade beauty products. 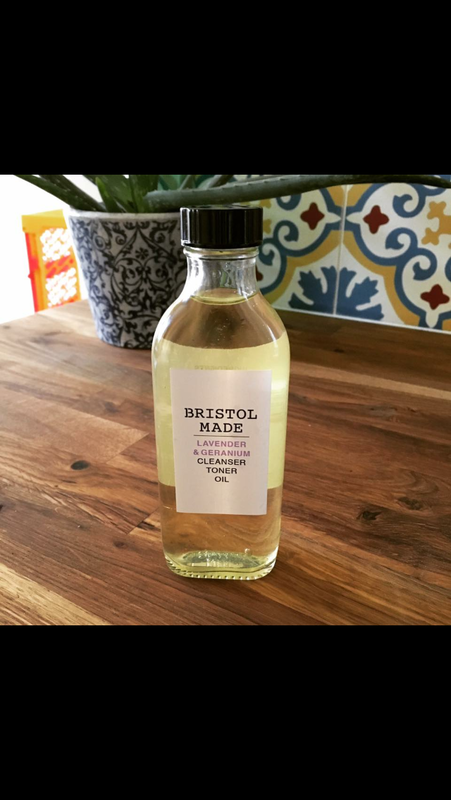 A nice production line going today making up fresh batches of my cleanser/toner. With it’s vegan, all natural ingredients the odd slippage isn’t a bad thing for my hands. With the all the benefits of Sweet Almond Oil, Vitamin E oil & fragranced with lavender & geranium essential oils it’s a treat for any skin type. It’s not only a cleanser/toner it can also be used as a massage oil, a night time facial treat & all round moisture giving boost for your whole body. Branding for my coming range of natural beauty products. Going for the white labels after taking advice from people in the know. Love these newly painted houses in Easton, Bristol. Had to stop & snap them dispite the minus temperatures, very cold hands & is it possible for a nose to freeze? While walking along the Gloucester Road after a Pilates class, I’d just come out of one of the lovely green grocers to hear a lady on the phone trying to explain where she was. Her discription was “I am near the butchers, you know, the one with all the meat in!”. Just genius.